Some very good advice for newbie writers like me. Space for where my book will one day sit! I’ve done it, more-or-less. More of Me is finished – there’ll be the possibility of minor tweaks when the proof copies are ready but all the tough writing stuff is done, including the final stage, COPY EDITS. My Facebook pals, and worse, my Twitter followers (why don’t they let you edit tweets? I never see my mistakes until it’s too late!) will suspect any copy editor of mine deserves a medal. My typos are disgraceful but I was very careful with my script. I spell checked until my fingers bled before I sent it off, but there were still things that came back needing correction. Some of which, for the first time since the edit process began, rankled. ‘Speech marks’ should be “speech marks”. Drum Roll! 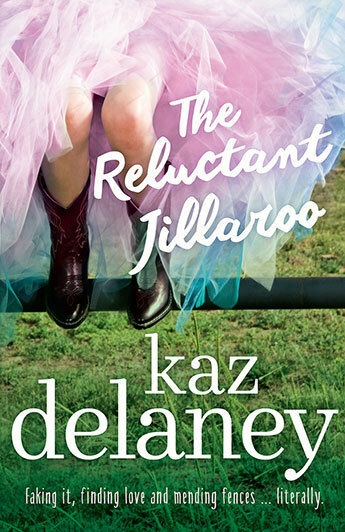 Cover Reveal: The Reluctant Jillaroo! Prizes to be Won! 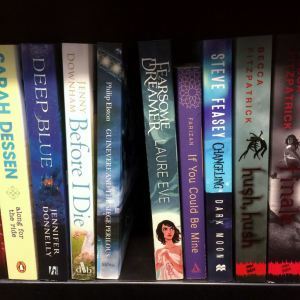 Check out this awesome sounding read by Kaz Delaney. Well, I’ve been waiting and waiting… Waiting to get the Hi-Res final copy of my cover so I could show you. And finally I’ve chased it down! Do you know, have any idea, how hard it’s been to sit on this!! My agent, Jacinta di Mase, summed it up when she said this cover is ‘simply delicious’. And she’s right. It just draws me back and back to it. So pretty. And it’s got horses inside! Well, not pictures, but the story certainly features horses. I hope you love it as much as we do. Expect to see it around because – why not? It’s so gorgeous, I may not be able to stop myself flaunting it.